Onward customers have had their say on what new kitchens due to be installed as part of a planned investment programme should look like. A group of 12 customers from across the North West took part in a consultation event, where they helped to choose the colour schemes for kitchen units, worktops, tiles and flooring. Their choices will now form the colour options for all customers who are due to receive new kitchens as part of an upcoming replacement programme. As well as helping decide on new kitchen designs, they also had a say on a range of items for bathrooms including baths, tiles and taps, taking particular consideration of their practicality for disabled customers. Chris Morris, head of asset management at Onward, said: “Volunteers took part in a constructive consultation. The feedback we received has been used to develop the kitchen and bathroom choices range for all customers who are due to receive replacements during the next five years. 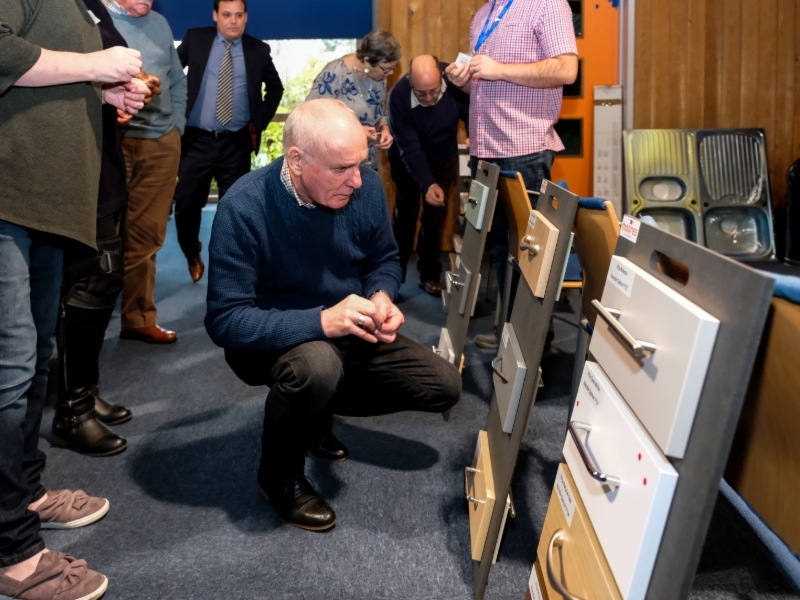 During the event, customers were introduced to all of the components by members of staff from Onward and Moores Furniture Group, before discussing the options and putting it to a vote. The first kitchen and bathroom replacement programmes are due to be delivered later this year. Onward will be contacting all customers who are due a replacement bathroom or kitchen in due course. As well as helping decide on kitchen and bathroom designs, the volunteers also discussed some of the questions customers might have around the upcoming replacement programmes and helped develop some FAQs to help answer these.